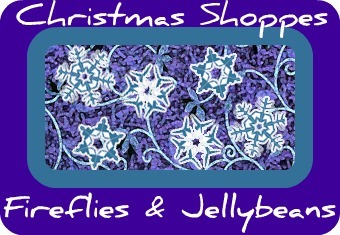 I am so excited to announce the Christmas Shoppes @ Fireflies and Jellybeans! The Holiday season is almost upon us! And we all love to get deals and buy homemade! Christmas Shoppes @ Fireflies and Jellybeans is about helping buyers and sellers. A one stop place to shop ALL thing homemade! All from the comfort of your home! Sells: Reusable snack bags, reusable trash bags, marker rolls, fancy towels and more! Discount: Free Shipping to US customers until Christmas! E-mail me at firefliesandjellybeans@gmail.com to get started on the EXCITING opportunity for your shoppe!